This restaurant is one of the corner stones of Morgan Hill. 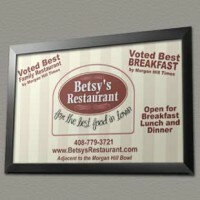 Adjacent to the Morgan Hill Bowl, Betsy’s has been a landmark in Morgan Hill for countless years. 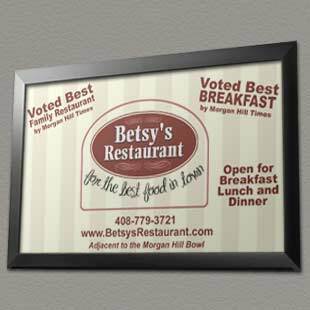 They always win something, but this year the ran away with the votes for both Best Family Restaurant and Best Breakfast according to the Morgan Hill Times. Its tough to beat this place for breakfast, lunch and dinner!